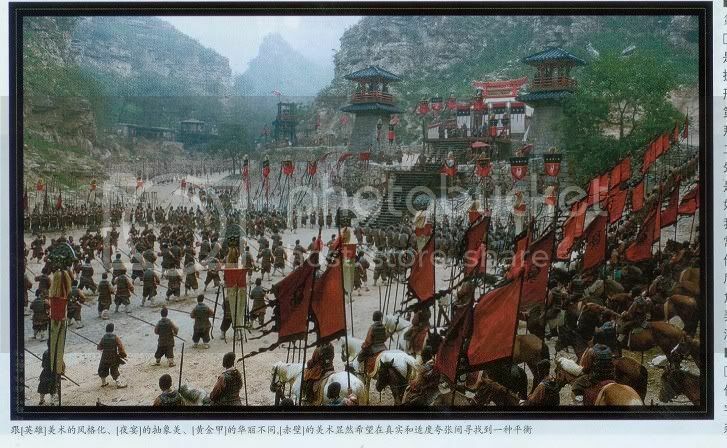 The film is based on events during the Three Kingdoms period in Ancient China, specifically the Battle of Red Cliffs. Director John Woo said in an interview with CCTV-6 that the film will use primarily the historical record Chronicle of the Three Kingdoms as a blueprint, rather than the historical novel Romance of the Three Kingdoms. As such, traditionally vilified characters such as Cao Cao and Zhou Yu will be given a more historically accurate treatment in the film. The movie will be filmed in Hebei, China and is expected to be released sometime in early 2008, and will be used to help promote the 2008 Summer Olympics in Beijing. it would be interesting to see how it plays out on film for the huge height difference b/t tony leung and lin zhi ling. 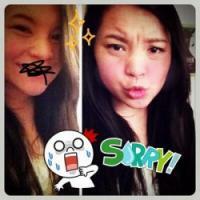 I recently watched some other short movies and deleted films with Chen Chang. He is a good actor. Oh and of course, Tony Leung is awesome. Takeshi Kaneshiro!! SOO FRICKEN HOT!! only watching it for Zhao Wei!!!! Romance of the three kingdoms? Tony Leung? Shoot, I'm alreay sold. Haven't seen many HK films lately, hmm. ooo sounds like a cool movie, although Takeshi as Zhou Yu would of been cooler and probably hot, but I dunno. I am totally looking forward to this film. It's coming out in several days yeah? yea, the movie is coming out in the next few days, but only the first part. The 2nd part will be out after the olympic games. Looking forward to this movie! So many great actors an actresses in it! I WATCHED THIS MOVIE! and i think me and my friend were the only non-chinese in the cinema. lol lol. ITS FRIGGIN AWESOME! really i didnt expect it to be this great. cause i thought it'd be some boring epic war movie. i didnt know that they were only showing part1. "to be continued.. I watched it a few days ago .. Awesome cinematography .. but the storyline wasn't exactly following history .. Takeshi Kaneshiro is toooo tooooo handsome and cool for Zhuge Liang but he was really good at portraying the character .. Chang Chen was great too as Sun Quan, the king that's griping with conflicts within himself. I still can't get myself to believe Lin Chiling was Xiao Qiao.. She sounds too modern for someone from Han Dynasty. Hahaha .. But she did put in effort I guess .. I love Zhao Wei's character too .. She's so tomboyish yet cute as Sun Shang Xiang. And I like Hu Jun too. Looking forward to the second/concluding part. Special trailer which I thought was good. Gosh I can't stand Zi Ling Zhang. I mean, it's just me, but she seems so fake in all of her interviews. GOSH why her? Sorry, I just needed to get that out. The special trailer looks so good!! I really want to see it now! Tony and Takeshi are a good duo and great actors, not much of a fan of Zhao Wei though. I watched this movie last Monday and I got to say, this is an awesome movie! I didnt expect it to be so funny.. Some people will probably say that the lines were lame but I thought they were amusing and added to the plus-es of the movie. I didnt expect historic movie to be funny. I love the fighting scene, though bloody at times. I would still prefer Tony Leung as Zhuge Liang, but I guess it's alright. I really want to watch this movie but I'm going to have to wait until next year probably. T_T I have to wait for super edited/cut 2 1/2 hour version that's going to be released in the U.S...I'd rather watch the 4 hour version though. HONG KONG: A true epic needs more than the grandeur of its landscapes, the lavishness of its sets and the sheer manpower of its battle scenes: It needs a truly epic story. John Woo displays the crucial distinction in the magnificently told "Red Cliff," the Hong Kong director's triumphant return to Chinese film after 16 years in Hollywood. Using old-fashioned good storytelling, "Red Cliff" restores credibility to the genre of Chinese historical epics that have often been tainted by pointlessly large-scaled and action-packed productions. Woo is helped by a wealth of source material. "Red Cliff" is based on a storied historical period that has inspired video games and comic books — third-century prime minister Cao Cao's quest to unite a divided China. But the director breathes new life into Cao and the colorful cast of characters that oppose him. There's the ruthless and arrogant Cao, who dishes out beheading orders casually and lusts after the wife of one of the resistance fighters; his main rival, the avuncular Liu Bei, who despite Cao's invasion still finds time to weave grass shoes; Liu's pudgy and hotheaded lieutenant Zhang Fei, who never hesitates to speak his mind. Liu's ally, Sun Quan, is a young ruler who struggles to find his confidence living under the shadow of his accomplished late brother and father. Woo takes the time to introduce anecdotes that define each character. The epic battle scenes involving scores of extras and enhanced by special effects are still there — including a complex fight centered on a maze-like military formation — but most of "Red Cliff" is spent filling out the rich cast of characters. The director is so keen on building an epic story that he even leaves the final showdown between the two sides to a second installment. 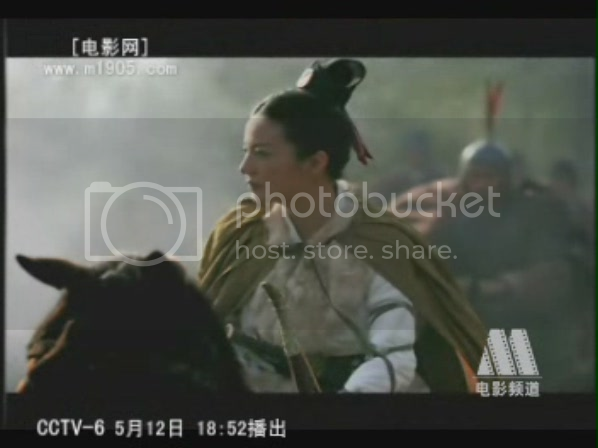 "Red Cliff," which will be released in Asia this month, is the first part. The sequel will be released in December. Woo's grand narrative justifies the two-parter. In "Red Cliff," he paints such a delightful ensemble of characters and sets up such a sharp contrast between the two opposing sides, bracing the audience for a titanic battle between Good and Evil in the sequel. The outstanding storytelling and character building is reminiscent of "Star Wars." The story feels similarly epic; the characters similarly funky. Interestingly, the English subtitles cast Liu's side as the "rebels" and their opponents as the "empire" — the same terminology used in George Lucas' legendary sci-fi series. And Woo injects humor and a modern sensibility into his characters, removing any feeling that these are outdated personalities hundreds of years old. Taiwanese-Japanese heartthrob Takeshi Kaneshiro brings youthful playfulness and sarcasm to the role of Liu's famed military strategist, Zhuge Liang. At first glance, Kaneshiro lacks the gravitas to carry such an esteemed character in Chinese history, but he gives the character a unique, refreshing interpretation. But the biggest surprise in the cast is Chinese actress Zhao Wei, who steals the show with her portrayal of Sun's spunky tomboy sister Sun Shangxiang, frustrated that her military ambitions are dismissed by the men around her. With "Red Cliff," Woo shows he's still a masterful director to be reckoned with. It's a feat made all the more outstanding by the difficulties he faced in the production. Two major stars — Chow Yun-fat and Cannes best actor winner Tony Leung Chiu-wai — dropped out at the last minute, although Leung later rejoined the cast. A stuntman died in an accident and torrential rains washed away part of an outdoor set in northern China. It's unclear, however, if Woo's story can win over non-Asian audiences who are less familiar with the Chinese history. He is releasing a condensed, one-installment version in international markets. 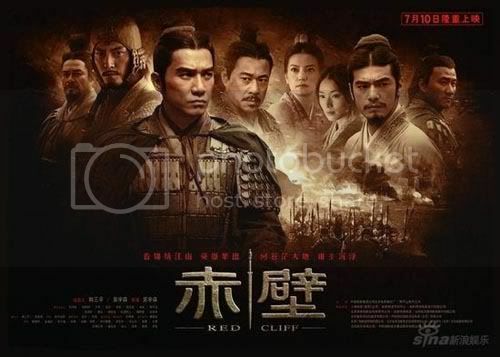 It remains to be seen if the abbreviated story will lose the character development and nuances that enabled "Red Cliff" to shine.